Meyrick Jacalan is one of my closest friends. He’s also one of the most fanatical people I know about sports. At the past Cebu City Marathons, “Jacs” was the leader of the organizing Cebu Executive Runners Club (CERC). Also, as the entrepreneur behind ASAP Advertising, he created the concepts and designs for the Cebu Marathon. Jacs has finished three 42K races. 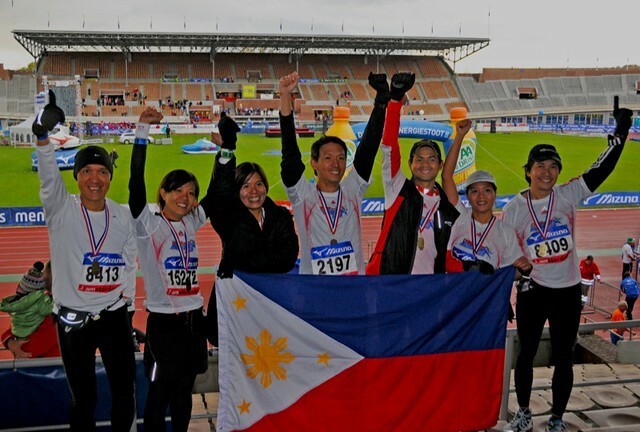 His first was when our 14-man Cebu group flew to Hong Kong in 2008; he timed a very respectable 4 hours, 51 minutes. 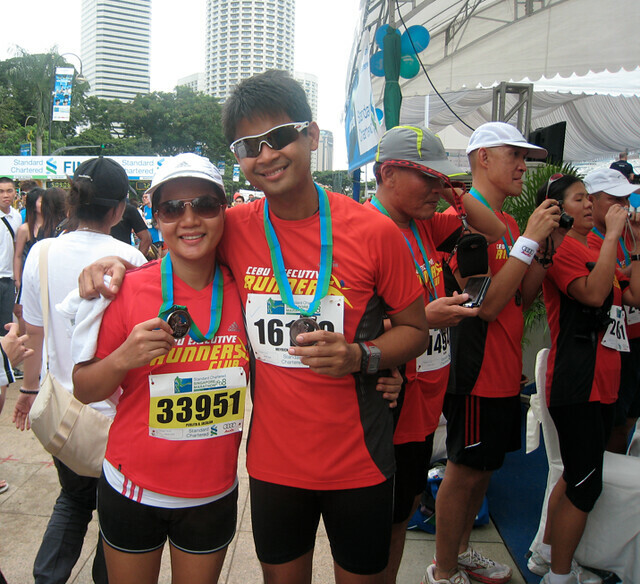 Next, he joined the Singapore Marathon. We were together with Team CERC. Despite cramps, he did another sub-5, clocking 4:58. And, finally, at the 2009 Amsterdam Marathon, he did a sub-Oprah (besting Ms. Winfrey’s 4:29 clocking at the NYC Marathon). Jacs finished in 4:21. What’s most amazing was this: months leading to Amsterdam, Jacs was injured. His painful Plantar Fasciitis injury (which later became Bone Spur) led him to stop many 30K practice runs. Once, running from Capitol to Cordova in Mactan, I saw him walk and grimace in excruciating foot pain. Never a quitter, Jacs considered backing out of Amsterdam—yet he persevered. He did a PR in that ’09 European 42K. 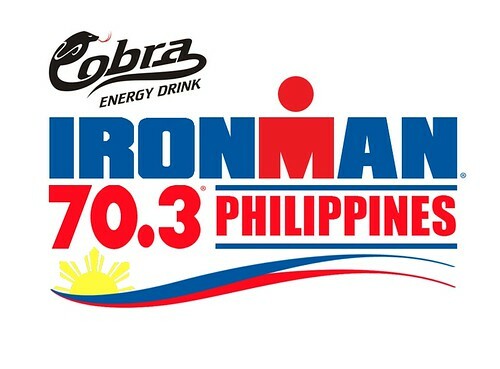 Next month, Mr. Jacalan will embark on another target: to finish his first Half-Ironman Triathlon in Camarines Sur. This was in 2010. A biker prior to becoming a runner, the most challenging discipline was the one that involved the water. His training schedule for the August 14 Ironman include swimming thrice weekly. He does one short bike ride on weekdays and a long one on Sundays. Running? Two or three times a week. Having completed three marathons and now just 25 days away from his first-ever 70.3 triathlon (1.9K swim, 90K bike ride and 21K run), how does Jacs compare both sports? For Triathlon/Ironman training. . .
As to the popularity of triathlon in Cebu today, “you’ll be surprised” at how many are Tri’ing the Tri, says Jacs. This 2011 edition in CamSur, about 50 from Cebu will join. “Different teams are now being formed,” he says. “Team Reborn started with just 5 members, now they are 20. A revival of a popular Cebuano triathlon team years ago, the TRI-Loccos is now gaining new members. Former triathletes are on the comeback. An XTerra brand of Triathlon was just held here in Cebu.